Learning how to brew beer at home is more than an economic decision – although brewing beer at home can be less expensive than buying commercial beer – it’s more about gaining control over the entire process, understanding how the flavor develops, and experimenting with ingredients and methods too see what happens. Home brewing probably began as early as people figured out that steeping grains and yeast produced alcohol. The addition of flavoring agents and aging methods has meant that we can produce a great variety of flavor profiles. That’s the fun of brewing beer at home; the experimentation, the anticipation of how it will turn out, and the enjoyment of tasting the finished product. A wort is produced by soaking malted barley in hot water. This releases the malt sugars which are the starting product in the alcohol production process. Homebrewers can purchase pre-soaked wort at homebrew supply stores. The wort is then boiled with hops. 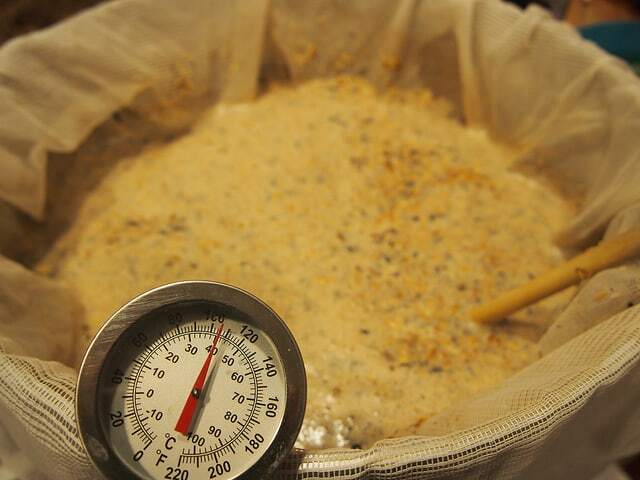 This is the flavoring step; the style of beer is what determines the length of boiling. A longer boil (with a stronger hop) will produce a beer with a stronger ‘hoppy’, and bitter, flavor. Adding hops at the end of the boil will result in a fresher hop flavor and aroma; almost floral and citrusy in nature. Yeast is added, and the fermentation process begins. The wort is kept at a cooler temperature during this process, which only lasts a few days at most. Some who brew beer at home also use a second fermentation. This clarifies the end product and produces a beer that is cleaner to drink. Bottling the beer involves adding just a bit more sugar to each portion so that the remaining yeast can provide carbonation to the beer. Be careful not to add too much sugar at this stage as the resulting pressure can cause bottles to explode. The basics of creating a home brewery are fairly simple and the steps in brewing beer at home are easy to follow. Once you have the basics down there are some fun methods and processes to experiment with to take your beer making to the next level. Aging beer in whiskey barrels is a great way to imbue interesting flavors into your brew. Whiskey barrels come in a variety of sizes so you’ll need to find one that matches the amount of beer you’re interested in aging. Don’t discount using a larger barrel that may take several batches of beer to fill; it is interesting to start the aging process and then bottle a few bottles every few weeks to taste how the flavor develops as the beer spends more and more time in the barrel. Try to select a barrel that will complement the flavor of the beer you’re brewing. Bourbon or whiskey barrels are great for darker, richer beers like stouts, brown ales, and porters, while wine barrels might be better for softer brews such as red ales, wheat ales, and barley wines. The process is as simple as you might expect. After fermentation fill the barrel with beer and store it in a cool, dry, dark place. The length of aging depends on the type of beer you start with, the age of the barrel you’re using, and the size of the barrel. A few weeks, a few months, or a few years; it’s all up to the experimental nature of the brewmaster. Once aging is complete continue on with the bottling process as you normally would. The next level in home brewing beer is to step into all grain brewing. This means that you, as the brewmaster, create your own wort rather than purchasing a premade one. Although it sounds a little daunting the process is, in fact quite simple. Instead of dissolving premade malt extract to create the wort, you will boil whole grains creating a mash that will eventually become the wort for the brew. That’s it at its simplest, but it is worth your time to further investigate wort production using an all grain brewing method. You’ll learn about enzyme conversion and temperature differentiation, how pH affects the mash, and how to manipulate the mash to create the flavors you are interested in producing. All grain brewing allows brewmasters to more finely control the entire process and introduces so many more options for experimentation while home brewing beer. If you’re interested in all grain brewing but don’t want to invest a lot of money into the process, then you should consider brew in a bag (BIAG). You’ll get the advantages of selecting the grains and creating your own wort without all the hassle of traditional all grain methods. Brew in a bag is exactly what it sounds like. Instead of creating a mash and boiling it up for the wort you place the grains into a heavy duty fabric bag, boil it up in a premeasured amount of hot water, and then drain it by simply removing the bag from the water and allowing the wort to drain. The resulting wort can be used in the brewing process just as a traditional wort would be. This newcomer method faced plenty of criticism when first developed, but has since developed quite the following. You can find plenty more information about this method by searching the internet or looking in your local bookstore. 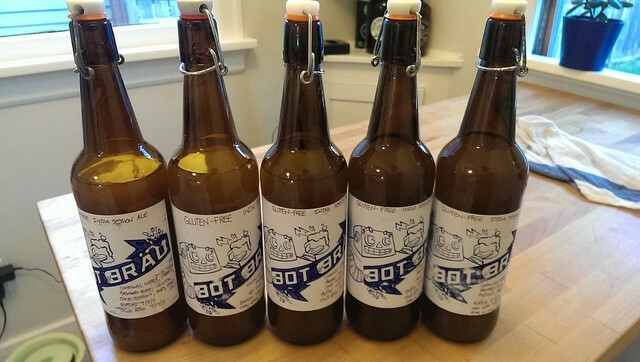 Home brewing beer is a great hobby that results in a tasty brew that you’ll want to share with your friends and family. It’s the experimentation that makes it so much fun; a chance to play around with ingredients and methods and directly see what the results taste like.